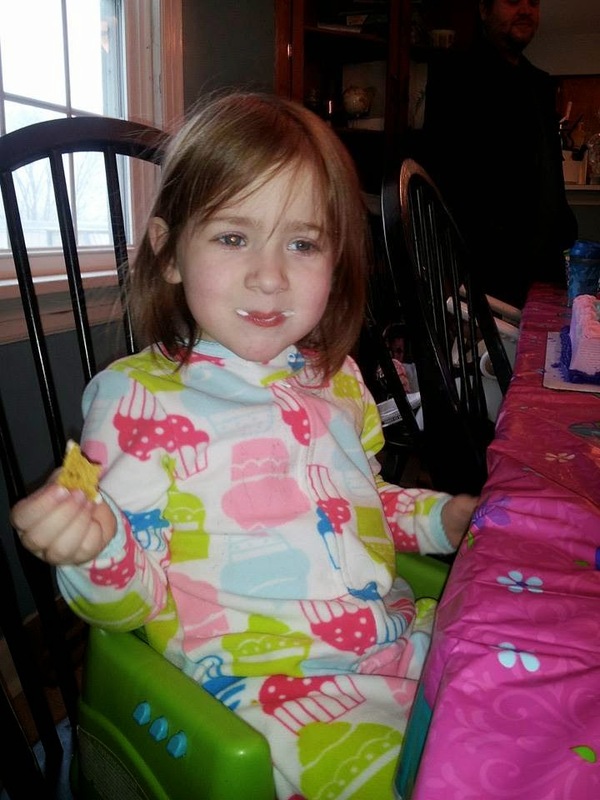 The one about Harper's birthday bonanza! This year Harper is going to be in the hospital on her birthday. So we went all out and had a big birthday weekend for her this past weekend since her birthday is going to end up being a wash. First Harper and I went and saw Frozen on Ice. 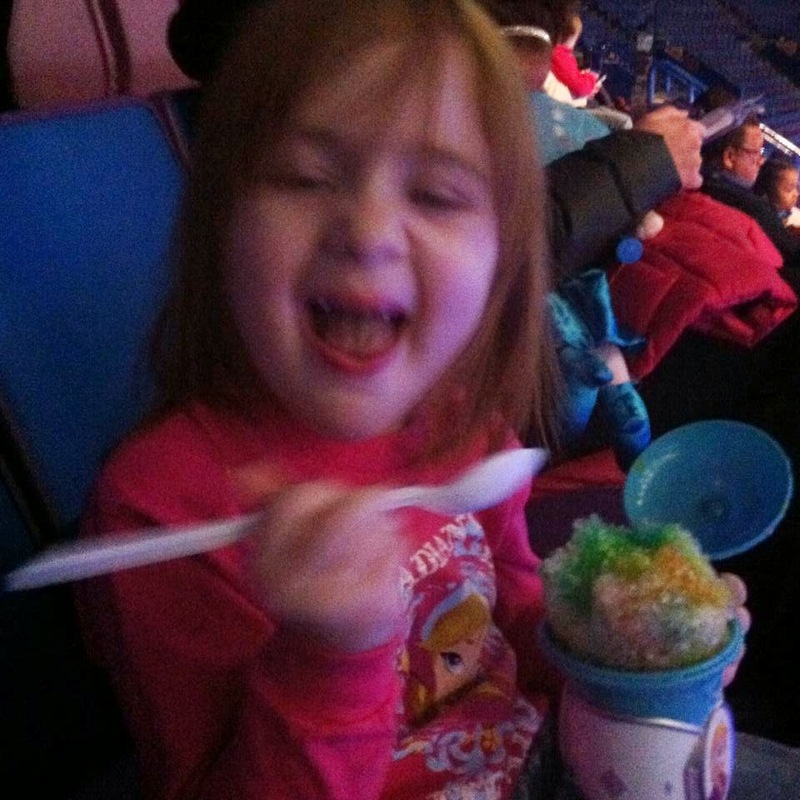 Me and Harper had such a good time at Frozen on Ice! It was just like the movie and so she was hanging on to every word and really just loved it. I spoiled her with cotton candy and a snow cone. 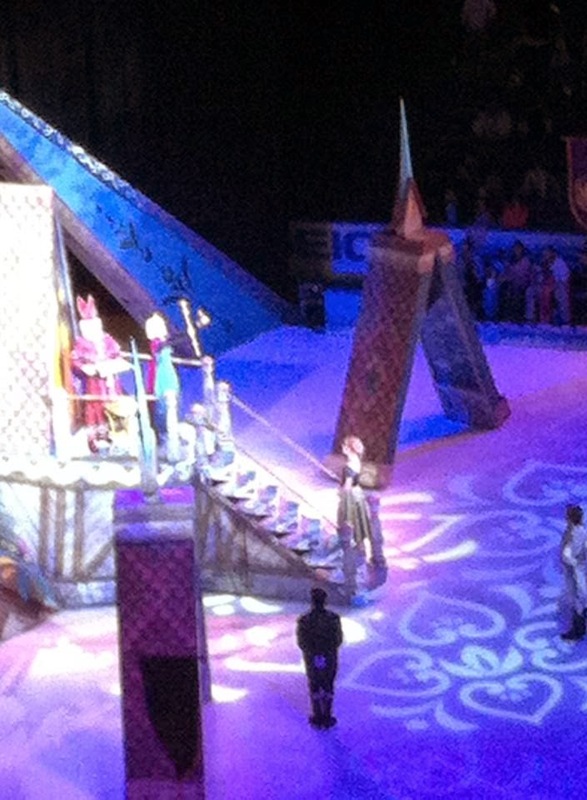 Frozen on Ice was a really good show and I highly recommend it. If you have a Frozen fan then this is definitely a good show to go see. On Saturday, we had her birthday party. It was a snowy mess so a lot of people couldn't make it, but it was still a great time. Harper was showered with gifts and she got a huge Frozen strawberry cake! She loves everything strawberry! Everyone had a great time visiting and celebrating and everyone made it home in one piece so we couldn't complain too much! 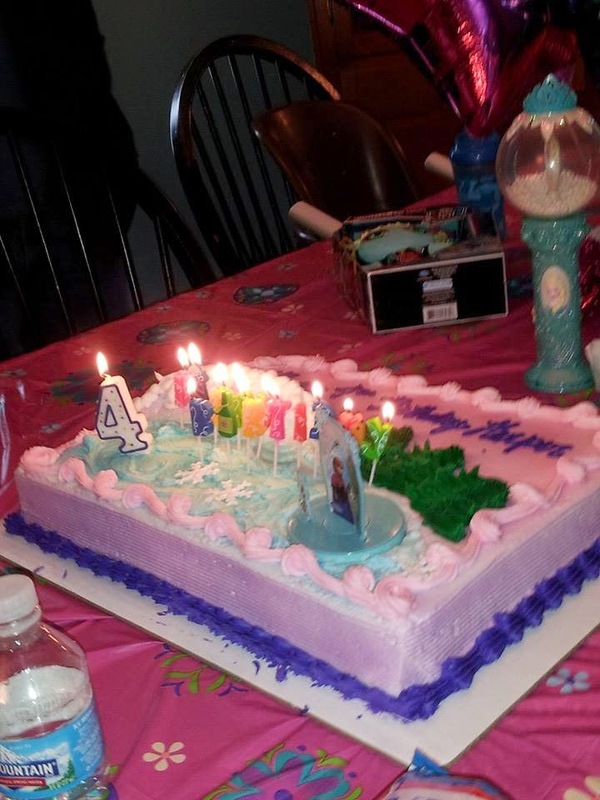 I can't believe my little girl is turning 4! It seems like just yesterday she was born. Expect a sappy piece on Thursday when we are spending her birthday in the hospital. I'm requesting lots of prayers and good thoughts for her surgery tomorrow. It's going to be a long day! The one about the Dreft to go stain remover pen!